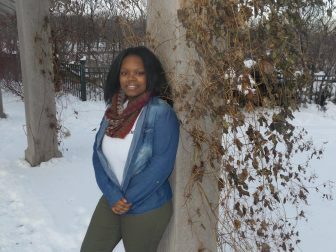 SharLamar Wren-Buchanan is a 2017 Cecil E. Newman Scholarship recipient. 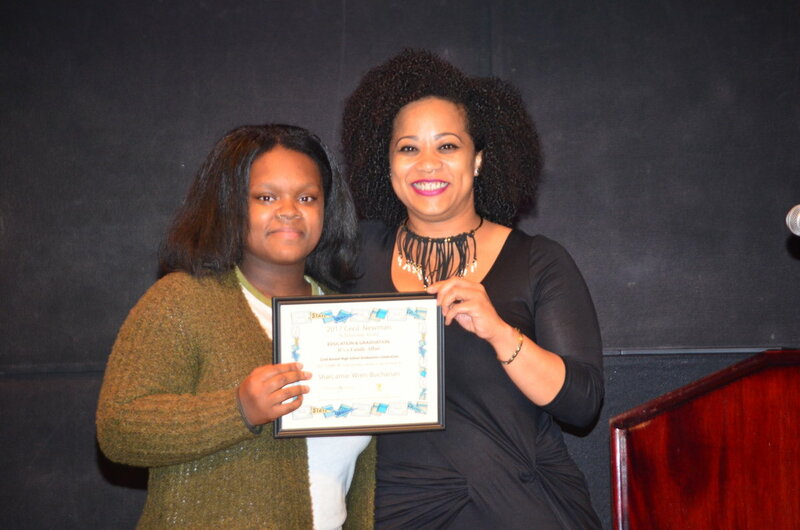 Below is her scholarship-winning essay. Shortly after I was born, my grandmother was murdered. We had to move to get away from that harsh setting. We were living in Milwaukee, Wisconsin at the time and decided to come to Minnesota. It was similar to Wisconsin in certain aspects like the weather, and was not much of a change as far as our fortune. We came here and had nowhere to live. We stayed in a shelter called People Serving People and bounced from shelter to shelter. This was my life. Even when we had our own place, my house became a shelter for other members of my family. My uncle and two cousins came to live with us and my sister became pregnant and had a baby. The shifting back and forth was going around me, but I found a place to study and consistently got A’s. The duplex was becoming smaller, but my world was getting larger. I was in advanced reading classes, reading thick books about people different from me. With 10 people in a small place, I had to find a space of my own. In doing so, I had to find an identity of my own, too. In inner city schools, being a nerd invited bullying. However, I knew a way to block out noise in order to be myself. I had to do that all my life. Taking five IB courses at a time, I could be found at school until nine o’clock sometimes. Since I was younger, I’ve known that all of this would be worth it. I am looking to go to a college where I can belong, have new experiences, and find out more about myself. I want to make the world my own. Throughout these experiences I observed my mom being strong for all of us. My mom was not able to grieve. She knew that she had to get us out of Milwaukee and that’s what she did. My mom didn’t get to go to college and she wasn’t allowed the opportunities that I was. My mom is smart but got pregnant at a young age so she felt like the responsible thing to do was to take care of her children. That’s what she did and to the best of her abilities. Another person that impacted my life is my IB English teacher Marcia Howard. She revised my college essays. She took me to appointments. Ms. Howard made sure that everything that I needed done was done. She would not let me leave her room if my work for her class was not finished or if I had any questions about my work. Ms. Howard also believed in me and constantly reminded me of my potential. If I needed to have a talk about my life, Ms. Howard was there to give advice if needed or just simply listen. I watched two women handle their priorities in the most responsible ways. My mom and Ms. Howard are inspirational. They both played a part in my successful graduation. For a recap/photos from the 2017 Graduation Celebration, go here.